If you feel this is your truth, you will be pleased to know that all hope is not lost. 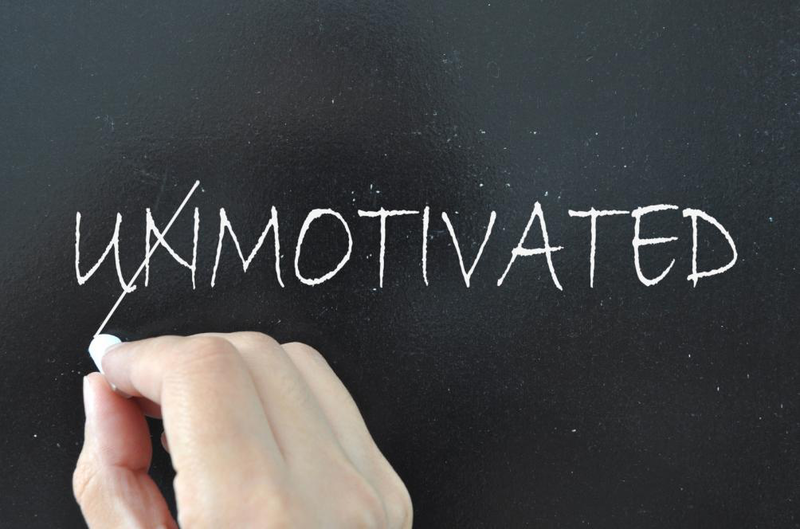 There are many ways you can attempt to motivate yourself. These are not quick fixes. They do take a degree of thought and focus. We’re going to focus on paradigm or mind shifts that may help keep you motivated over the course of this blog. This should help you overcome your blocks and come to a point where self-motivation comes naturally! Listed below are four important mind shifts that should serve to keep us motivated. We often embark on various tasks as completion of the same would mean being a step closer to what we desire. There are times when we lose sight of our ultimate goal. When this happens, steps in the right direction might come off as drudgery. One thing that can really help keep you motivated is to reconnect with the original goal or the real reason why you embarked on your journey to begin with! We often lose sight of what we believe in, what we hold in esteem and what we want. We get caught in the humdrum of day-to-day life and end up helping someone else chase their dreams while forgetting our own. Doing this is bound to sap your energy, making it hard for you to feel motivated. Connect with your own values and what you hold important and give them as much space (if not more) as you would anyone else’s. Stay true to your values when making choices. This way, you will stay true to yourself, thus feeling more motivated. Again, this involves connecting with yourself and finding out what it is you desire out of life. If you’re working toward your own ends diligently, you will probably be more motivated than if you were simply serving someone else’s agenda. If you know what you want, you will have clarity. Clarity helps with motivation—you have a goal in sight and an end to look forward to. There are times when we really don’t need to work ourselves to the point of burnout, but we do anyway. This could be by spending needlessly long hours at the office, forfeiting our off days or trying to over-achieve for someone else’s gains. You don’t always need to operate at 120%. It’s fine to just put in your 100%. This keeps you from burnout and hence keeps you from getting de-motivated! The four mind shifts mentioned above are extremely effective if followed. There are a lot more tips and pointers on motivation that you could probably learn from a mindset or accountability inspirational speaker! One of North America’s top motivational speakers, Scott Burrows survived two catastrophic accidents that altered the course of his life. Despite these, Scott, through grit and perseverance, overcame the obstacles that stood in his way. The author of a bestselling book, he conducts keynote sessions in all 50 states and fifteen countries, motivating thousands. Those looking to connect with Scott can do so by calling him on 813.477.0862 or emailing him on scott@scottburrows.com. Posted in Motivational Speaker by Mike Pearhouse on June 8, 2018.